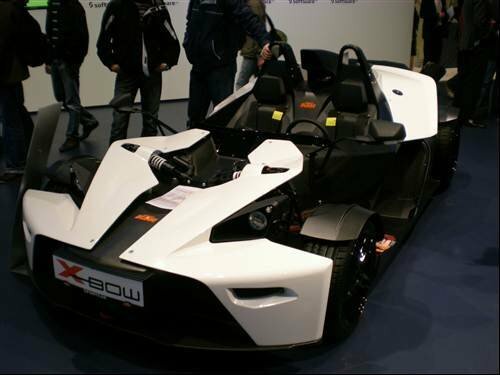 Austrian motorcycle builder KTM first revealed its new X-Bow (crossbow) roadster in 2007, but sales didn't begin until 2008. The 1500-pound car has a four-cylinder Audi engine offering 237 horsepower at 6000 rpm and 228 pound-feet of torque between 2200 and 4000 rpm. Audi reportedly considered selling a version of the X-Bow under its own brand, but later dropped the idea.